Welcome to Farm Holiday Villaggio sul Mincio. The farm holiday Agriturismo La Staffa (the stirrup) is situated at short distance from Verona and the Lake of Garda, embedded in the green open spaces surrounding the Parco del Mincio, in the locality of Ariano. The luxuriant nature, the parks as well as the architectural sites across this area make this resort an ideal place for relaxation and offer a wide variety of recreational activities: walking through the countryside, going for a ride on horseback or touring by bicycle or canoe. Its convenient location, close to the medieval village of Borghetto, the Garden Park Sigurtà (Valeggio sul Mincio), the Lake Garda and the town of lovers, Verona, offers lots of charming destinations for sightseeing trips and cultural excursions. The origins of Agriturismo La Staffa date back to the sixteenth century, when it was a convent. Only later was it transformed into a farmhouse, comprising a granary, riding facilities, stables and a brol: a piece of land destined for the cultivation of forage and the pasture of animals. Still today, the premises are surrounded by the original 16th century stone wall, erected to protect the estate. A wise method of restoration allowed to preserve the original structure with its massive wooden beams and to safeguard the pure and rural atmosphere of the past. The unchanged beauty of nature invites to take a rest and to contemplate the surrounding countryside. The farmhouse consists of 5 double rooms (additional children's beds also available) and 5 small flats with bathroom, equipped with air conditioning and tv. The new swimming pool is waiting for you in Summer 2016; come and visit us and let your children have fun in our playground! 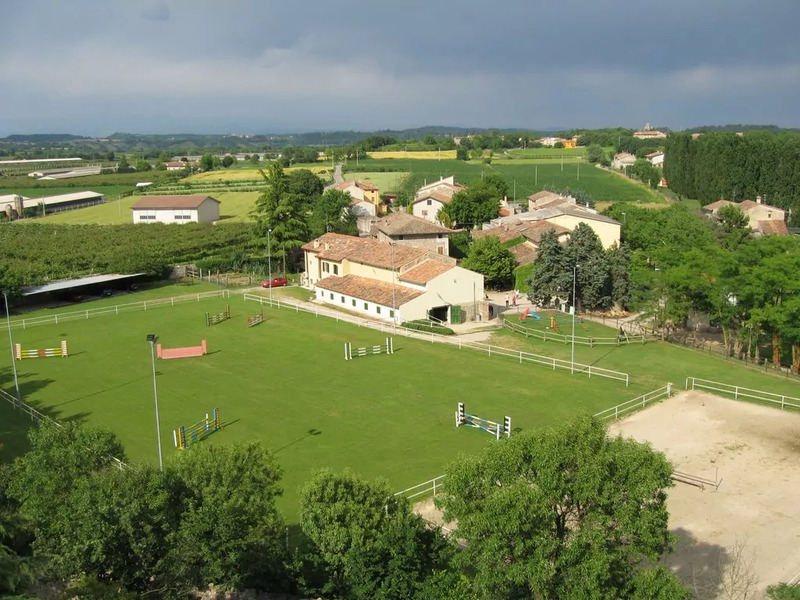 (Agriturismo La Staffa Valeggio sul Mincio farm holidays).